From the very first time, everybody loved it, even the most hesitant. 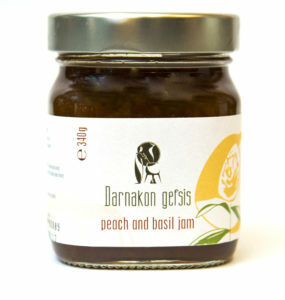 We slightly changed the classic recipe of Peach jam and we added a little bit of fresh basil. The result? The most refreshing jam you ever tasted. Enjoy it in Panna Cotta, on Greek yogurt, sandwiches with freshly baked bread or butter croissants.